and how to prepare healthier Indian dishes with 30 recipes. "The Healthy Indian Diet" has been reviewed by the famous Kirkus Reviews and mentioned in the Houston Chronicle in February 2012. There's also an explanation of what's in the book on YouTube. For more, go to the About page. "I think this book is a great intro to a healthy real food diet in general, and to the specifics of an Indian diet in particular. It is exactly as advertised, and it contains real world, common sense advice that is easy to remember. You won’t need to buy expensive supplements, and he doesn’t villify and entire group of macronutrients. 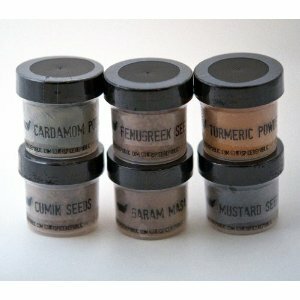 You won’t need to consult charts or lists to find out what food you should today, and there is no schedule to follow." 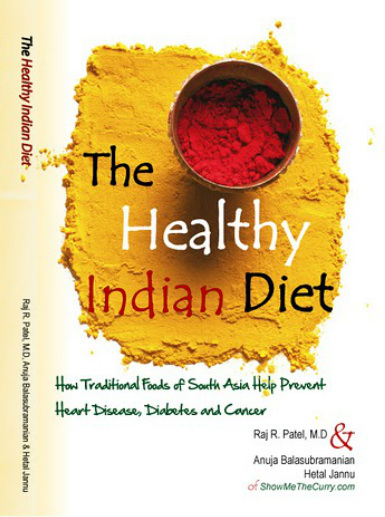 "I'd recommend this book to anyone with an interest in Indian food and/or someone trying to understand the cause behind today's chronic diseases (diabetes, heart disease, etc.). Somebody should send Dr. Oz a copy - it's the type of book he'd surely approve of!" If you'd like to have Raj Patel, M.D. speak at your event or want copies of "The Healthy Indian Diet" stocked at your store or clinic, please contact us at Info@HealthyIndianDiet.com. "The Healthy Indian Diet" paperback and 6 essential Indian spices (cardamom, fenugreek, turmeric, cumin, garam masala and mustard seed) from Spice Republic makes a perfect gift! Purchase using any major credit card via PayPal. Free Shipping & Handling to any continental U.S. destination. Email us at Info@HealthyIndianDiet.com if you have any questions.